Employer fees can be found in the employer packet. Click here to access the Employer Application Packet. The Golden Strip Job Fair is a collaborative effort between the Center for Community Services, Fountain Inn Chamber of Commerce, and the Simpsonville Area Chamber of Commerce to bring job seekers and local employers together. 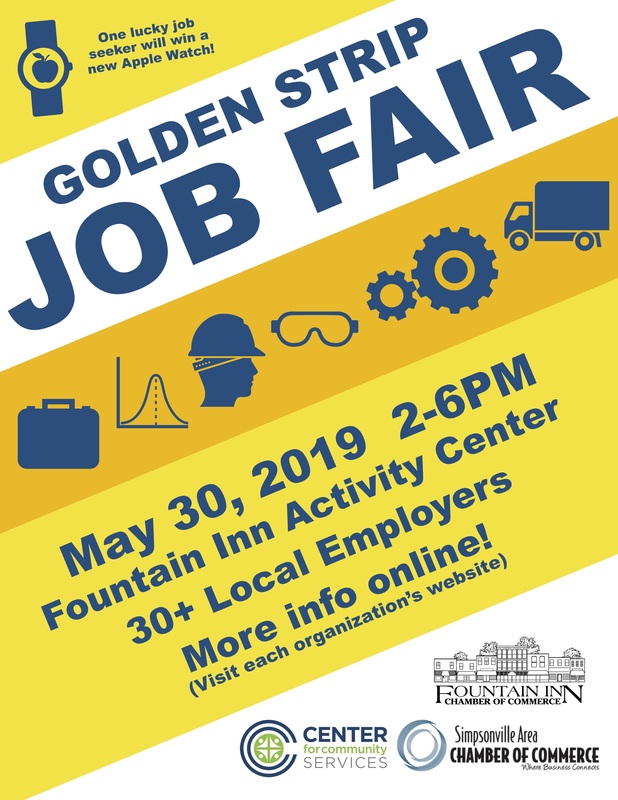 The Job Fair will take place on Thursday, May 30th from 2:00pm until 6:00pm at the Fountain Inn Activity Center located at 610 Fairview Street. EMPLOYERS - Access the Employer Application Packet by clicking here.